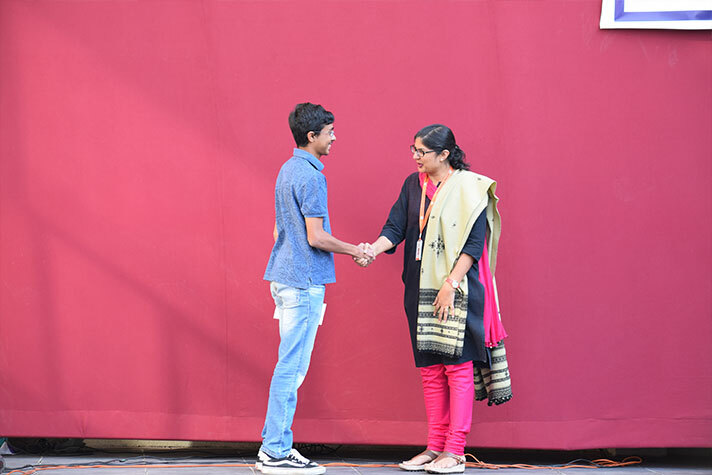 On 16th January, Valediction 2018 was held where, apart from the various ceremonial practices, the eleventh graders displayed a plethora of events to display love, affection and gratitude towards their seniors. 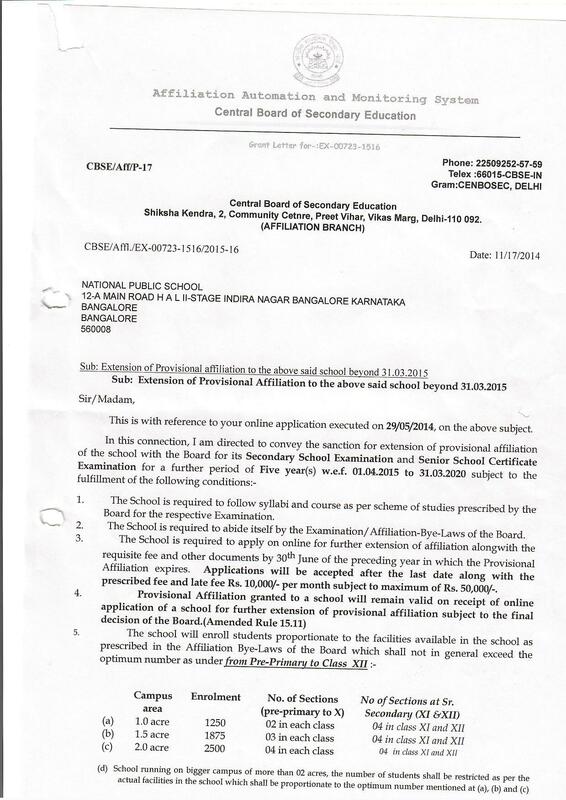 The theme for Valediction was “NPS Rewind”. 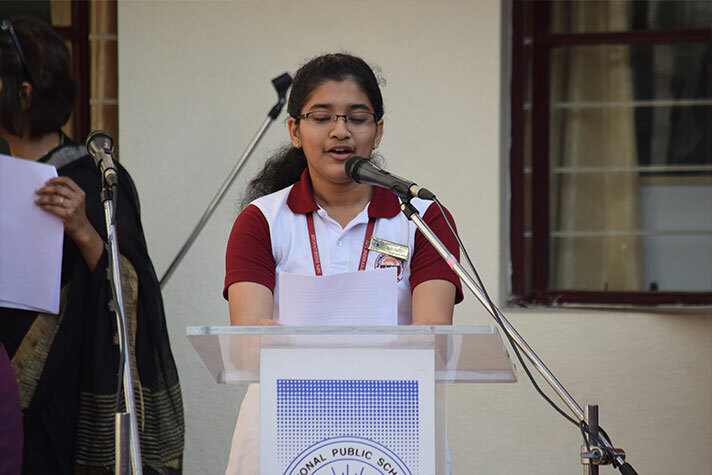 The day started with much anticipation with the welcome speech by the Vice Prefects. It was followed by the introductory scene, where the two MC’s for the day inaugurated the extravaganza with a fashion show, a seamless transition to the captivating dance battle taking place between boys and girls and a quick skit with memorable lines from Play Along being thrown in. 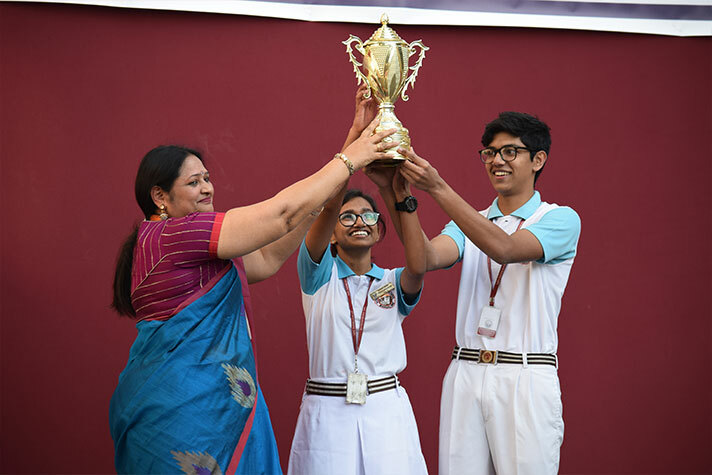 The skit was brought to an end with NPS INR being crowned the “school winning the most fests in a year”, a tribute to the meticulous efforts by the seniors in various former victories. An expansive banner was also dropped providing an impressive visual climax with the words, “We will Miss you”. Next came the solemn Valedictory Ceremony. The Valedictory Ceremony signifies the handing over and passing on responsibilities by the outgoing batch to the upcoming batch. 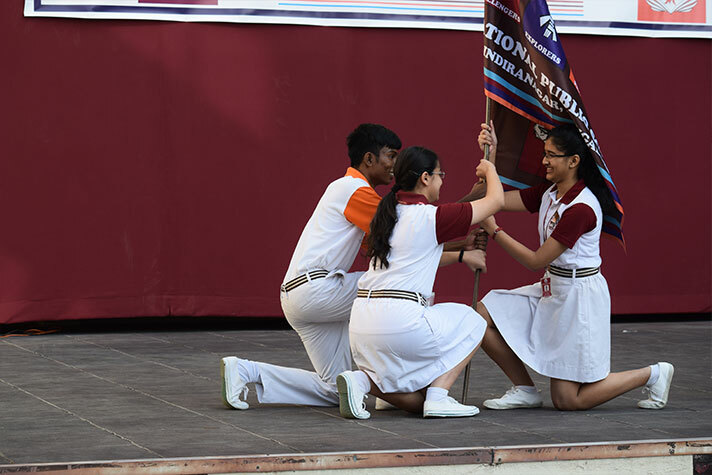 It commenced with the flag handing over ceremony with the school prefect handing over the school flag to the pair of vice prefects, followed by the house captains doing the same with their vice captains. 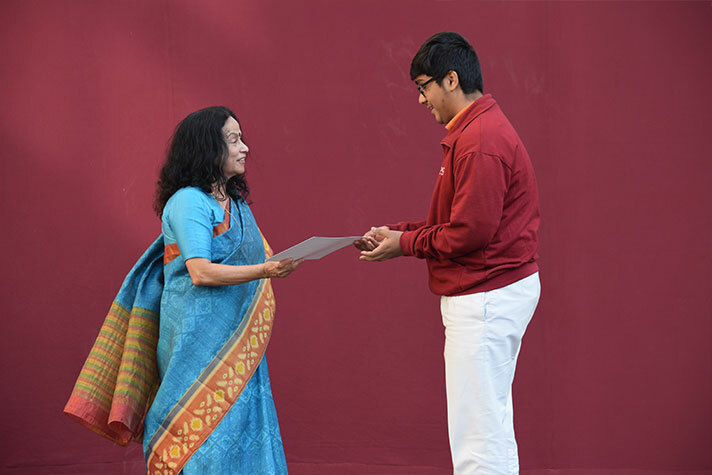 A series of awards were also given, from the Best Outgoing Student to 100% attendance to the Mridula Endowment Scholarship. 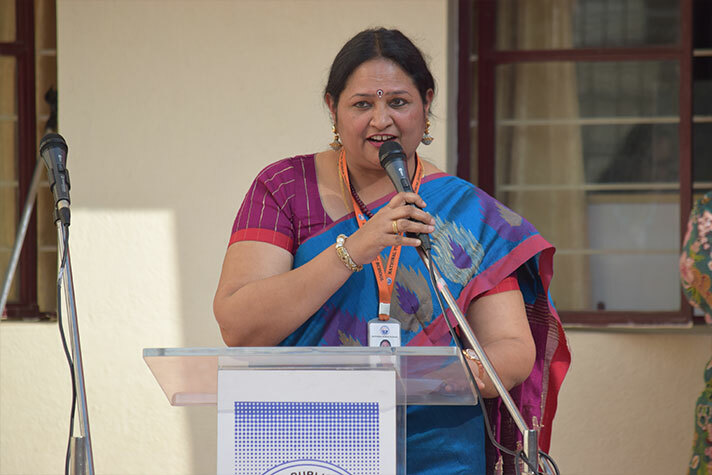 Finally, the entire gathering was brought to a close with speeches by Sampada S Venkatesh, Prefect and Ms Latha Soman, senior coordinator who reflected on a year that was. 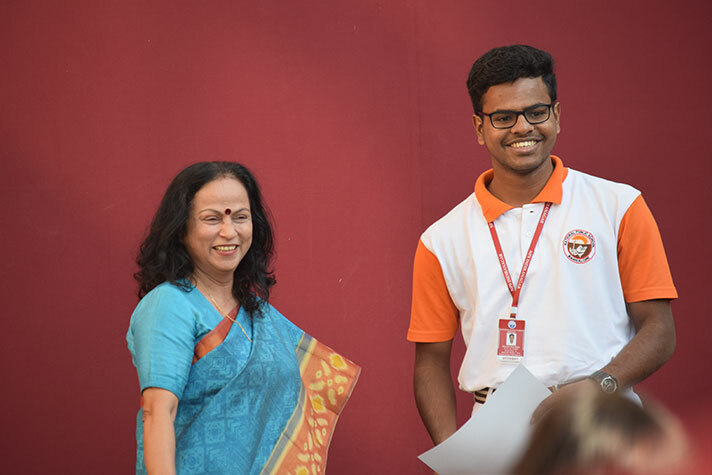 As the Grade Twelve students proceeded back to class, they were enthusiastically presented with their final gift, a marks file comprising of various teacher remarks as well as a report card- which marked a fitting end to their academic career. They also received a vial of sand from the school grounds to carry with them wherever they go and serve as a reminder of their alma mater. Ultimately Valediction 2018 served the purpose of reigniting memories and strengthening the everlasting bond between the outgoing students and their juniors that will hopefully last forever.